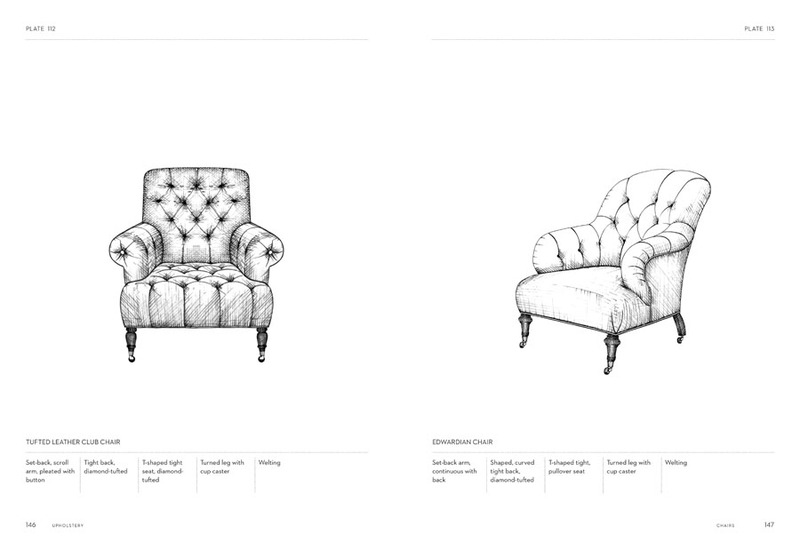 Includes over 200 specially commissioned hand-drawn illustrations of classic upholstery models, including sofas, leather club chairs, dining chairs, chaise lounges. 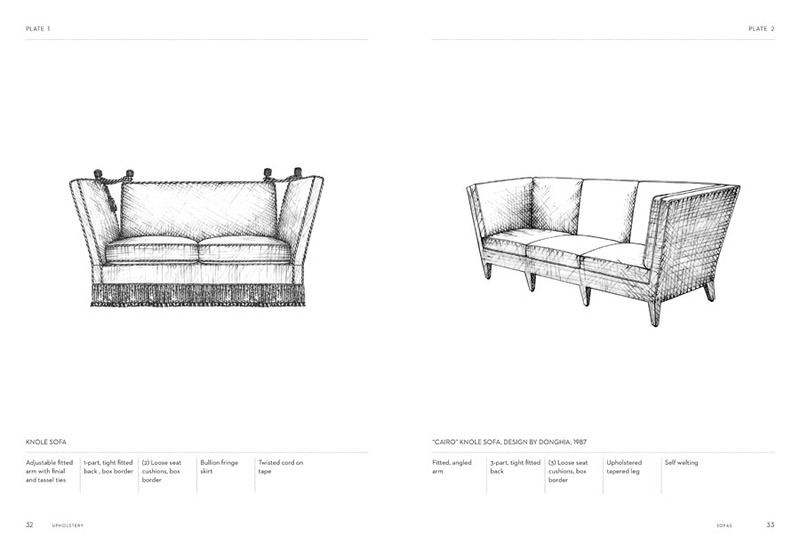 Appendices on fabric selection and standard measurements, a glossary, and index. 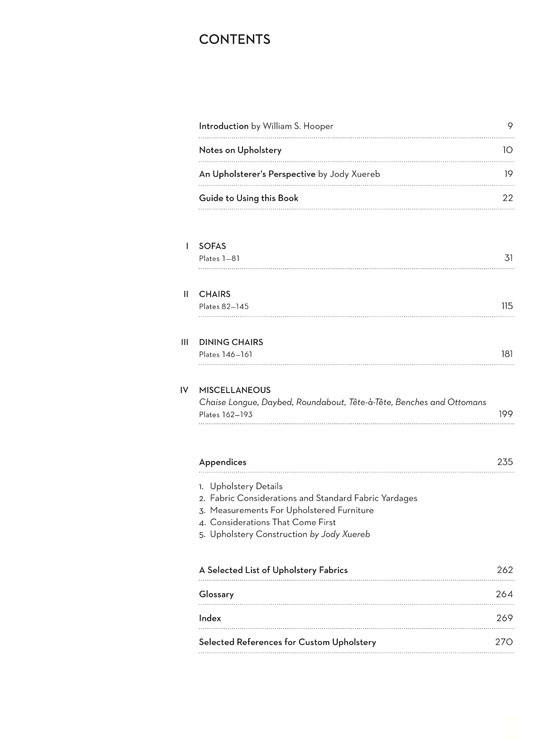 There is nothing available in the book market that provides the range of examples of well-proportioned and designed pieces that this volume does. 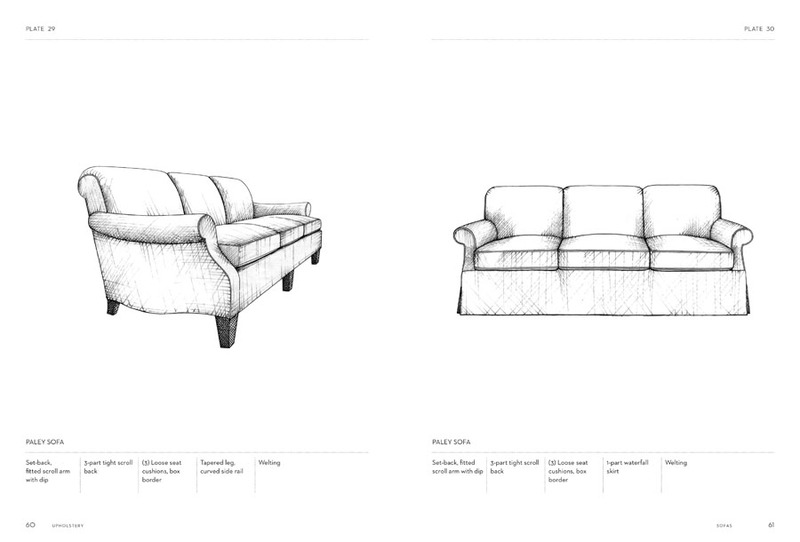 Though not exhaustive, the author and editor have tried to provide a rounded selection of types from which designers can draw inspiration or simply choose a style to replicate. 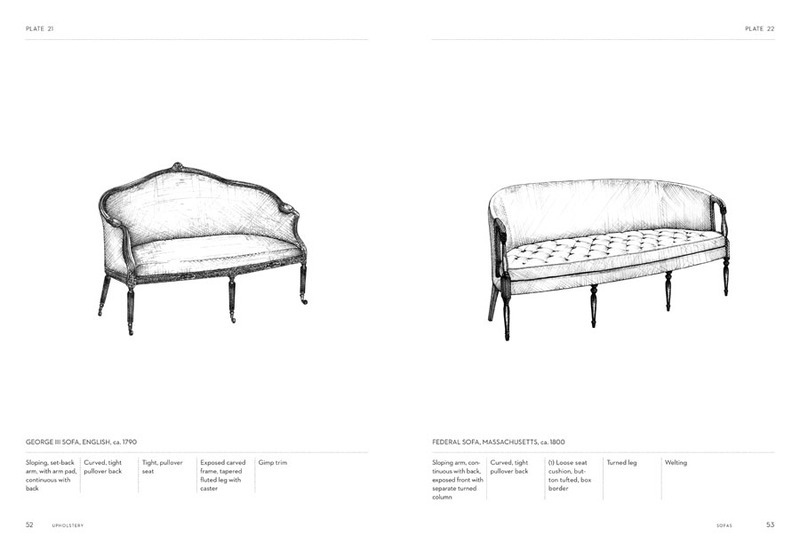 The author, David Michael Wood, works within the traditional English Country House style and offers his perspective on upholstery while the editor, William Hooper, brings a more contemporary perspective to the selection of types illustrated for this volume. 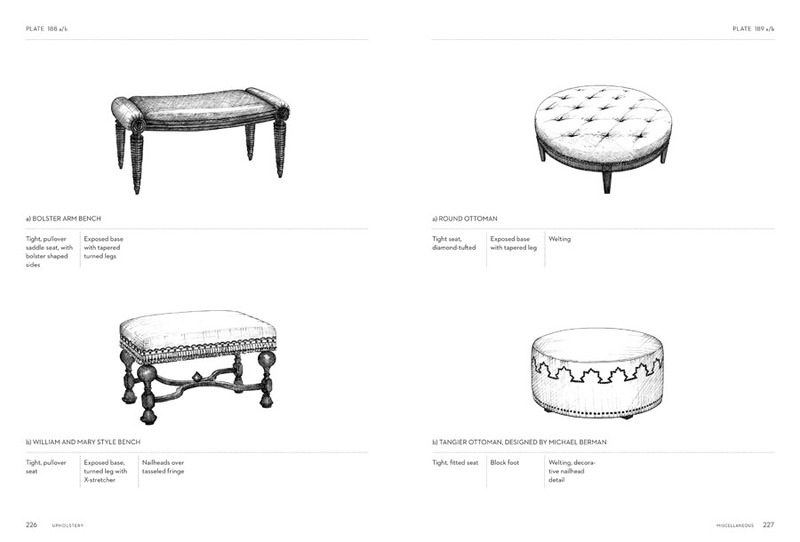 Each illustration is identified by commonly used names or stylistic designations to help guide one when selecting a particular piece. 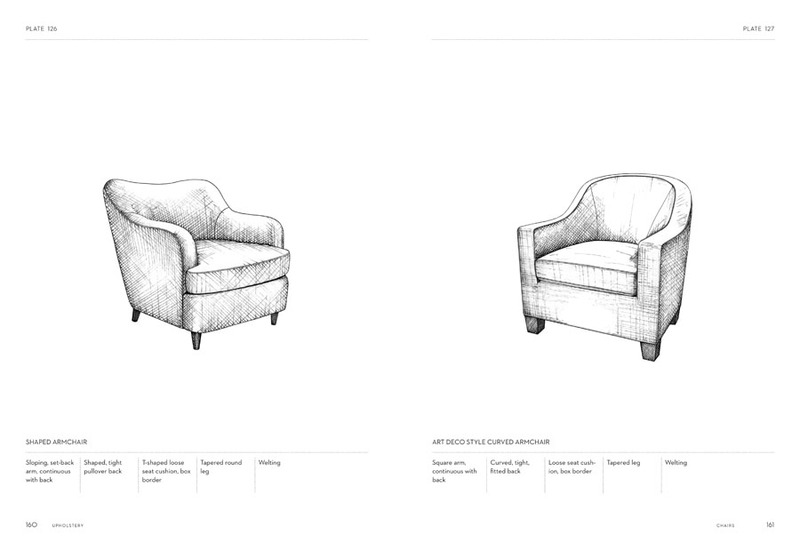 Equally important are the appendices and instructive texts that address the practical considerations one must take into account before talking to an upholsterer and selecting a style of sofa or chair, or before selecting a fabric from a showroom. 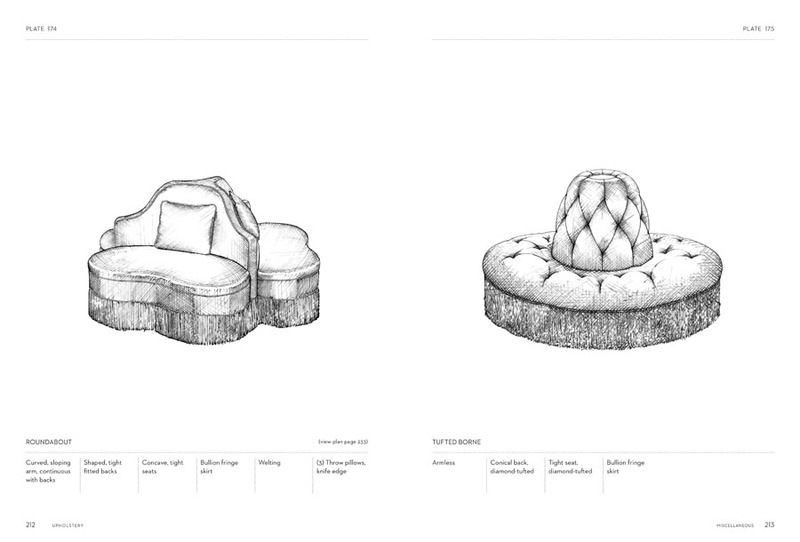 Contributions from upholsterer, Jody Xuereb, provide an invaluable voice to this discussion. 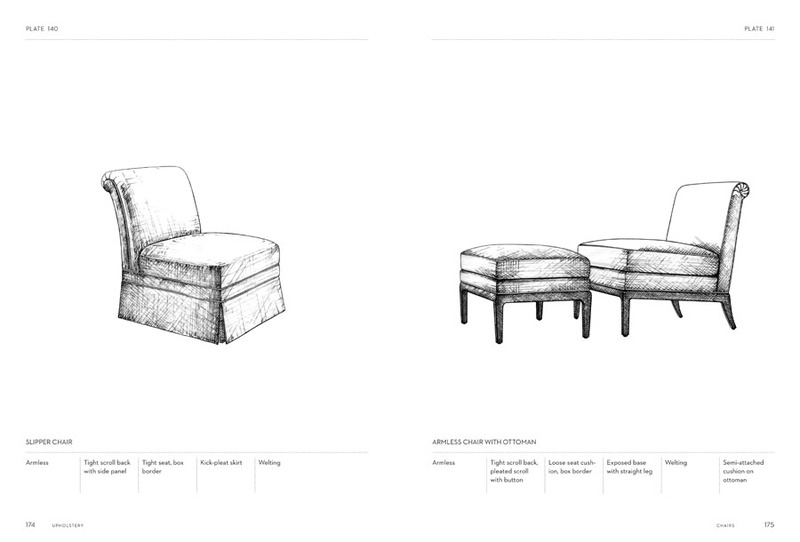 With over twenty years designing and constructing custom upholstery, Xuereb intuitively knows what goes into creating a custom piece of upholstered furniture. 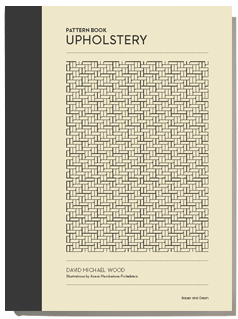 This is the first book in a multi-volume series of pattern books that will include over 15 titles covering a range of topics from pillows and plasterwork to staircases and paneling. The Pattern Book of Decorative Painting by Master craftsman Pierre Finkelstein. 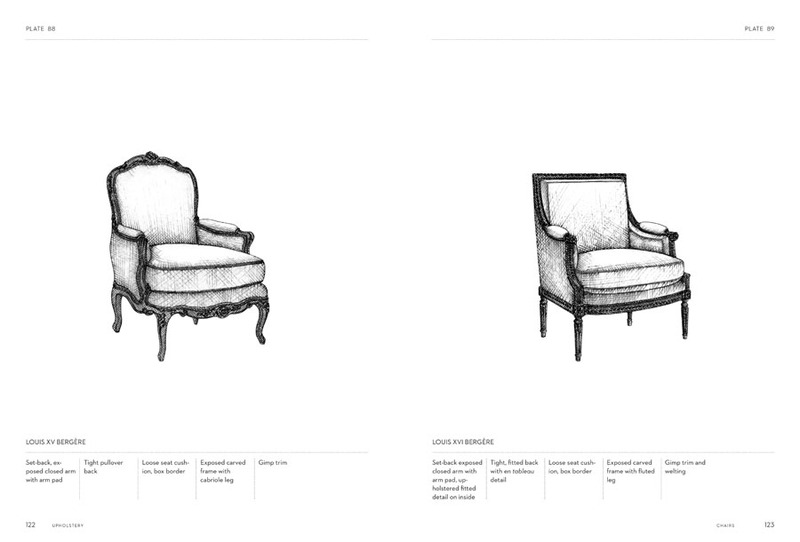 The Pattern Book of Built-in Cabinetry by Benjamin Huntington. 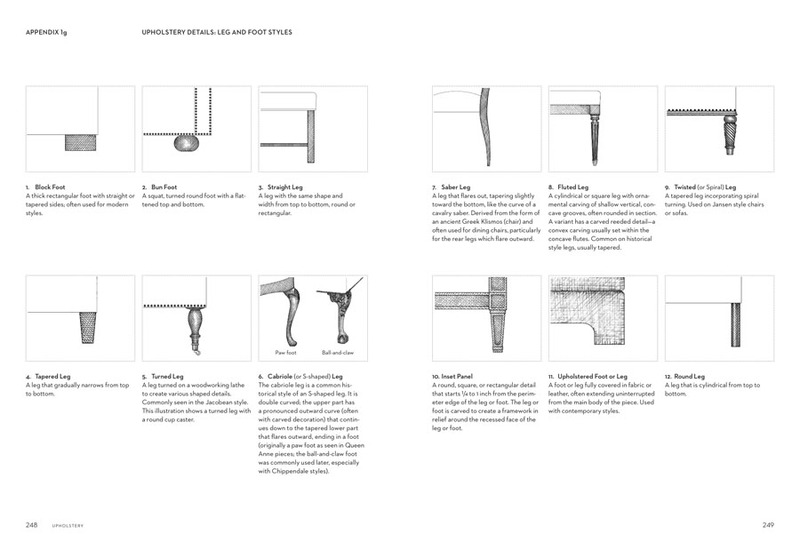 The Pattern Book of Paneling by Alex Papachristidis, with contributions by woodworker, Richard Edelson. 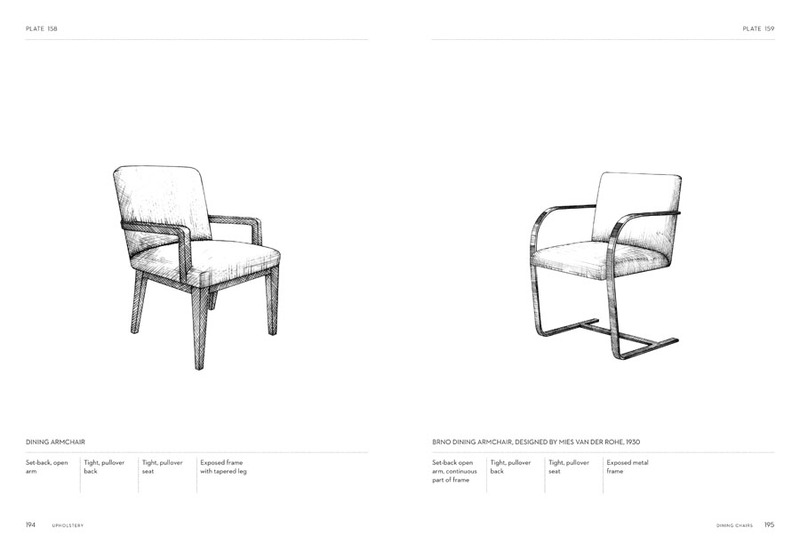 Bauer and Dean Publishers Inc.